Will you ever learn, LG? 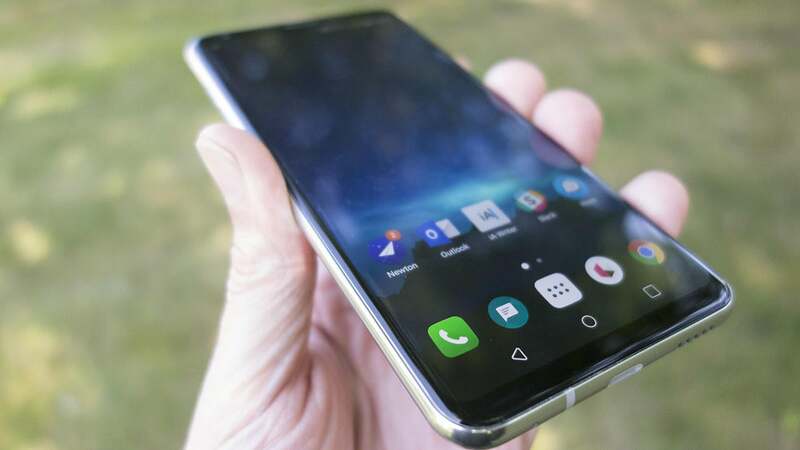 When LG unveiled its latest flagship V30 at IFA way back on August 31, we didn’t know when it would hit shelves in the United States. Now we do, and LG couldn’t have picked a worse time to start selling it. Orders for the V30 will begin next week on October 5. But when you'll actually get the phone varies. Verizon is up first and will be only carrier selling the phone on Oct. 5. You’ll be able to buy V30s in AT&T stores the very next day, but T-Mobile and Sprint won’t start selling it until Oct. 13. Of note, the V30 will be the first phone to support T-Mobile's new 600MHz network, better known as LTE Band 71, which should help expand the reliability of its coverage. And Sprint will be the only carrier selling the V30+, featuring 128GB of storage (double the standard model) and a pair of LG QuadPlay earbuds. While rumors initially pegged the V30's price at $700 or $750, the phone will cost around $800 when it launches. T-Mobile customers can put down $80 and pay $30 a month for 24 months, while AT&T will charge $27 a month for 30 months, for the slightly higher price of $810. Sprint will charge $38 a month for 24 months for the V30+, bringing the total price to $912. Verizon hasn't announced pricing yet. As far as promotions go, LG is offering its Second Year Promise program that extends the warranty to an additional year, and it's also giving away a free Google Daydream View VR headset with orders for a limited time. AT&T customers can get a second LG V30 for free by adding a second line of service. However, both phones will need to be purchased on an AT&T Next plan with bundled DirecTV service. Sprint is also offering a BOGO offer on the V30+. If that sounds confusing, consider this: LG is launching its flagship V30 the day after Google unveils its flagship, the Pixel XL 2. Not only is the Pixel XL 2 expected to start at a lower price of $749, it’s rumored to have the same chip, same storage, and same 6-inch OLED screen. LG encountered a similar problem when it launched the G6 alongside the Galaxy S8, but seemingly the company is a glutton for punishment. That being said, the V30 is an excellent phone. It brings LG’s first 6-inch OLED screen with slim bezels, a dual camera system with f/1.6 aperture and dual optical image stabilization, and a top-of-the-line Qualcomm Snapdragon 835 chip. It would be a shame if it were overshadowed by the Pixel, but it seems inevitable. Why this matters: If you’ve been waiting to get your hands on a V30, it’s finally almost here. Depending on your carrier, you could be rocking LG’s latest flagship by the end of next week. Just don’t read any news about Google phones the day before.